You are here: Home / Disney Star And Celebrity News / You Can Still Get Your Tickets To Meghan Trainor’s ‘That Bass’ Tour Still! You Can Still Get Your Tickets To Meghan Trainor’s ‘That Bass’ Tour Still! 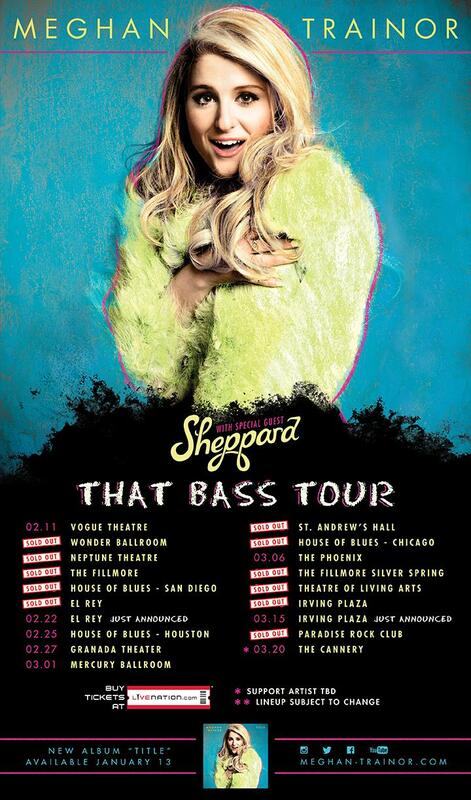 Tickets for Meghan Trainor’s That Bass Tour is still going on! Especially the tickets for the newly added New York City and Los Angeles shows! At least half the shows are already sold out now, so make sure you get them while can! Grab your tickets HERE and be ready for Meghan when she comes to a city near you beginning next year! « Watch Echosmith Take The Stage LIVE TONIGHT, November 16th!